SAINT JOHN BOSCO, popularly known as Don Bosco, was born at Becchi, in Piedmont, Italy, on August 16, 1815. From a very young age, he was inspired that he had been called to work for the poor boys when Europe was under the grip of the Industrial Revolution. Many young people who came to the cities to study or in search of work fell an easy prey to the social evils of the time. 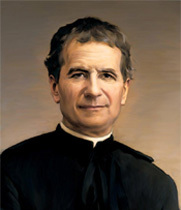 After being ordained a priest of the Catholic Church in 1841, Don Bosco came to the rescue of many poor boys with his novel method of educating them through total dedication and personal involvement in their lives and problems. He based his education on the three great principles of reason, religion and loving kindness. He loved those to whom he dedicated his life, as a caring father, and doing everything possible for their welfare. Don Bosco did not visualize education in isolation from the community. Vocational guidance, vocational training, job placement and follow-up were as integral in Don Bosco's scheme as they are in modern education. 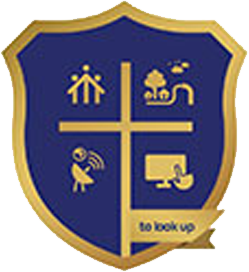 The system of education that emerged from these principles of Don Bosco is popularly known as the Preventive System. Joseph Zoppi, the Swiss educationist said, "If there ever existed, a method of education adapted to inspire confidence and love; it is the method of Don Bosco.” The system aims to create a generation of young men and women steeped not only in sound knowledge-based education but also in a strong value-based education for life. Preventive System seeks to place the students in an environment in which one can be the best. It is a congenial, friendly and holistic approach to education. It creates a climate that draws forth the best in the young people; it encourages the youth’s complete and fullest self-expression; it assists young people in acquiring habits that will lead them to opt in favour of what is good, healthy, joyful and life-enhancing. 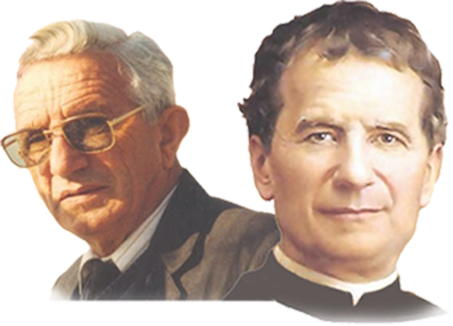 Today, Salesians of Don Bosco have spread throughout the entire world in the service of young people, of the poor and suffering, with schools and colleges of every type and level, technical and professional institutes. Inspired by the spirit, charism and conviction of Don Bosco, the Salesians do more and take up challenges to create a nurturing environment to develop youth capacities and make them productive, good citizens of the country. Honor and glory to Don Bosco, who lived ahead of his time, had a vision and a practical approach for the development of the youth belonging to the poor strata of the society. Founder of Don Bosco Center, Yelagiri Hills: Fr Francis Guezou, SDB Fr Francis Guezou, a French Salesian missionary came to India in 1952 and was ordained a priest in 1953 at Tirupattur, Tamil Nadu. After ten years of ministry in Yercaud and Kochi, he arrived at Yelagiri Hills and pioneered his work in 1962. Since then he has been the cause of promoting education of the poor, tribal and rural youth at different places of Salesian apostolate in South India. 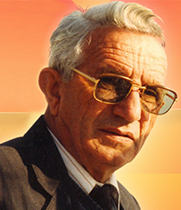 In particular, he founded and strengthened the Salesian educational presence at Yelagiri Hills. Thanks to his patronage, BICS InfoTech was established in 1998 with BIIT and BOSCO ITS as its education and technology units to provide professional compute education to the rural and tribal youth. The contribution of the Association of Friends of Father Guezou in France, founded (in 1964) by Mr Leon Duhayon, a French industrialist is laudable in concretizing the mission of Fr Guezou. The association is currently headed by Mr Stanislaus Ernoult (Director, Decathlon Foundation, France) as the President. Fr Guezou left us on January 29, 2009 for his eternal reward. Yes, his spirit is dynamic and it drives the entire campus. Every visitor to Don Bosco experiences a familiar family spirit, which makes the young, free and natural. This is a heritage that Fr Guezou has passed on. A person of great self-discipline with a touch of humor is a great gift that God has given us. As a Gardener in the Vineyard of the Divine Master, Fr Guezou ploughed hard, planted and watered by the kindness of many selfless friends in France and India and he knows that only God gives the growth. Yelagiri changed him and will change the destiny of people who will dwell here, because God’s work is at hand here – it’s a God’s Mountain of Grace.